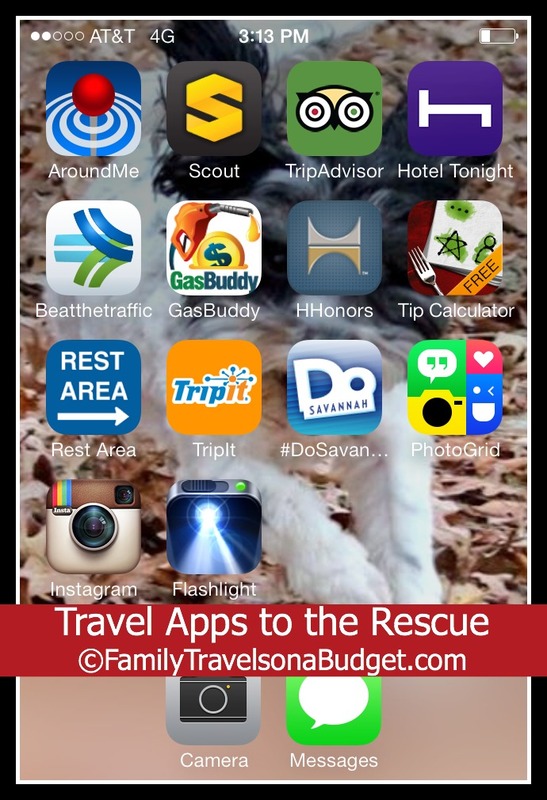 Home » road trip » Travel Apps to the Rescue! A friend of mine shared the funniest story this morning…. As of this afternoon, she has helpful travel apps on her phone! Driving from North Carolina to Alabama, she and her family planned to tackle the 600 mile drive in one day. Bad weather struck — as often happens in the winter. They decided to stop for the night rather than push through and risk an accident. They pulled up to a hotel at an exit not-to-be-named, checked into the hotel and headed to their room. Exhausted, hubby collapsed into bed and quickly fell to sleep. My friend lacks this special talent. Her nose, offended by the mildewed smell in the room, finally investigated. To her horror, she found mold all over the bathroom ceiling. She woke her husband — by text (isn’t that hilarious?) — but he grumbled at her to go to sleep. As you might guess, my friend did not use a travel app to book her room. Had she done so, she probably would have seen reviews of this particular one and pushed through just one more exit. To help her out, I gave her my favorite road trip apps and she dutifully installed them. Next time, she will sleep in a clean, comfy bed and enjoy a sparkling bathroom! Lesson learned. 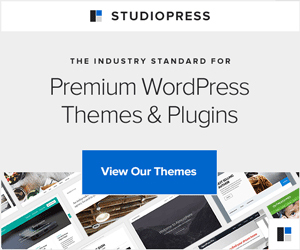 Which apps did I recommend? Why? Read on to find out. Hotel Tonight. I’ve reviewed this app before, and in big cities, it’s still my favorite for same-day bookings. Working with hotels to fill last-minute inventory, the Hotel Tonight app offers great deals. Read this article to learn more about this handy travel app! Hotel Loyalty Program Apps. Frequent travelers and/or those who are brand loyal should add that brand’s travel app to their arsenal. Get points for that emergency overnight too! Of course, compare prices and call the manager to negotiate a better rate. I have shared these apps before, and they’re still great. For greater detail, read about my favorite road trip travel apps. GasBuddy. Using the handy search feature, find the best gas prices nearby with this handy app or store cities along the route and check prices as you get close. This app is also useful for local travel. Use Gas Buddy to find the lowest price nearby, even at home. Beat The Traffic. Revamped this year, Beat the Traffic has improved and is definitely among my favorites. When caught in a traffic jam, Beat the Traffic provides information such as what caused the traffic jam, how long it is, and how severe the backup. My son was stuck in traffic this past November and called me. I pulled up Beat the Traffic for his location and shared that the highway was closed because of a serious accident. He stayed on speaker and I navigated him around the traffic jam and back to the highway. We also used it in December in Florida when pine logs fell onto the highway and shut it down. This app is best used by a “co-pilot” so drivers can keep their eyes on the road. When it comes to finding restaurants, stores, or pharmacies, my husband and I are divided on which app is best. So, we use both! AroundMe. This app is easy to use and offers a number of search categories including restaurants, movie theaters, parking, and supermarkets. The “nearby” tab provides local information to help travelers understand the area. Scout. My husband’s preferred app, Scout shows location on a map and offers quick links to the most popular categories. This app also allows a home and work setup to save specific locations and a “recents” button to make repeated searches easier. Both apps are easy to use and provide excellent support to travelers in unfamiliar areas. Besides these “last minute” travel apps to the rescue, I like TripIt, which helps keep trip information organized so I can find it easily. Instagram is a great way to share photos with friends and family, and the easy to use features allow me to control exactly which photos I share and with whom. Photogrid works with photos, too, and honestly keeps me entertained while my husband drives. It is easy to use and creates fun collages of our vacation photos. Flashlight is also great to have handy in case of emergency. The car battery dies… with a phone flashlight, we have light when we need it. This particular version also includes an SOS option. I’ve never had to use it, and I hope I never need it, but it does offer a sense of security if my car happens to break down at night. The next time my friend travels, she’ll probably have a perfect trip! But, if she doesn’t, with these Travel Apps to the Rescue loaded on her phone, she will be ready for whatever comes next! Now, would you do me a favor? Please share your worst road trip experience — then my friend will know she’s not alone! AND we all can have a great laugh! Ok. Well we weren’t really traveling but just going across town (from a northern suburb to a southern one) so it was about a 40 minute drive. Well, the day before I told my husband we needed gas. We both forgot the next morning and ran out 10 miles from the nearest city/gas station. It was a sunday and everything we tried was closed. A friend came to our rescue. Thank you so much for pulling this list together. I had no idea how many travel apps were out there. I actually have added a review to Trip Advisor in the past. I have heard of a few of these apps. I’ll need to check them about before my next trip! HAHA!!!! She cracked me up when she told the story! I’m not sure the car would have been safe, though. You’re welcome! They really do help!!! Yes! How did we ever get along before our smartphones?! I’ll have to check out these travel apps! Thanks for this list of awesome travel apps! 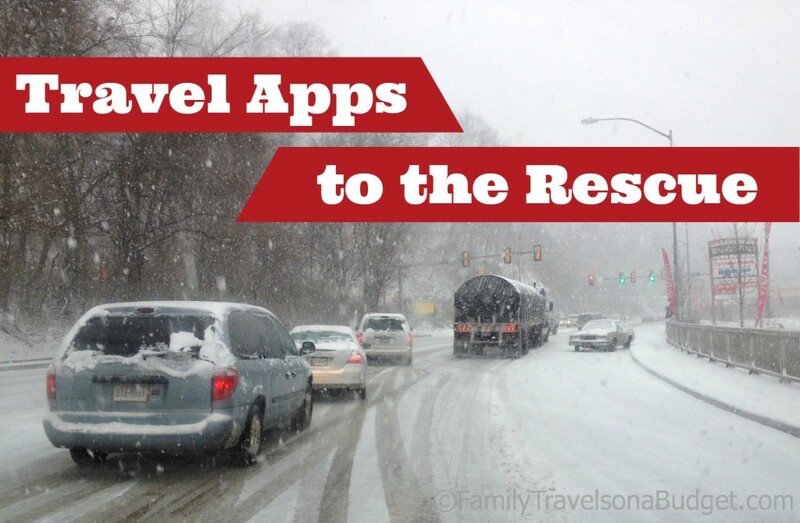 We take a road trip every year and I am always looking for apps to make it run more smoothly. We are on our way to Orlando, Florida next week to a convention. Hoping not encounter bad weather, but I thank you Karen, for these apps as they will surely come in handy for many other reasons. The log jam on the road happened in the Jacksonville area. We’ve encountered more traffic issues in and around Jacksonville than anywhere else — missing flights, stuck for hours without a restroom, etc. I always pull up Beat the Traffic on our approach to Jacksonville because we seem always to get stuck! If your travels take you that way, I strongly suggest using 295 (go toward the beaches) to navigate around the city. We learned the hard way! Downloading all of these apps. Thanks for all the useful information. I already have Trip Advisor, but I haven’t checked out the rest yet. Would many of them work internationally? Great question, Jennifer. TripAdvisor works internationally, but I’ll have to look into the other apps. Great idea for my next techie post. Stay tuned! Thank you for all the great information! I bet your friend wished she talked to you before she traveled to Alabama. I’m going to pass this on to rest of my family! This article is a homerun! I have all but one of these on my phone and feel so secure knowing they are there! Thank you for this informative and humorous article-you have done it again! Wow. What a compliment. Thanks, Holly! I’m glad you’re prepared for travel too. What’s your next destination?